Great location just off the highway. Size: 485 sq. m. "5220 SQ FT"
EXCELLENT AND VERY LARGE HOUSE SOUTH OF THE CITY ONLY 10 MINUTES FROM THE AIRPORT, THE CENTER OF CANCUN, THE MAIN BEACHES OF THE HOTEL AREA, OF EXCELLENT COMMERCIAL SQUARES AND THE MAIN UNIVERSITIES AS ARE THE SALLE AND ANAHUAC UNIVERSITY. THE PROPERTY IS LOCATED A FEW STREETS OF THE MAIN ROAD THAT CONNECTS CANCUN WITH PUERTO MORELOS, PLAYA DEL CARMEN AND TULUM, CLOSE TO THE AIRPORT, CURRENTLY THE AREA IS OF HIGH DEMAND AND PREFERENCE OF THE RESIDENTS BY THE MULTITUDE THAT OFFERS IN THE LAND CONVERTING TO THIS AREA IN AN IDEAL POTENTIAL TO INVEST NOW AT A LOW PRICE. 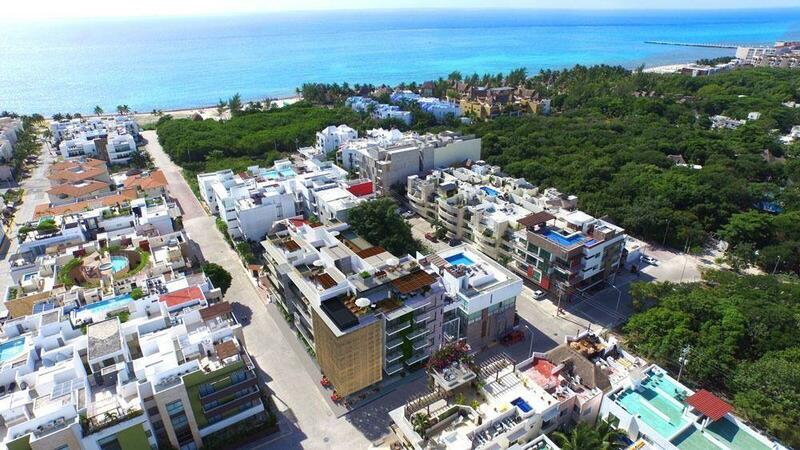 IN THE SURROUNDINGS OF THE PROPERTY YOU CAN FIND MAIN STREET OF CONSTANT FLOW OF TRANSPORTATION, SPORTS COURTS, PARKS, AND THE MAIN PLAZA OF THE LOCALITY. THE PROPERTY IS CURRENTLY INCLUDED IN A COMMERCIAL PREMISES WITH A VERY WELL-KNOWN OUTDOOR PIZZERIA AND WITH FREQUENT CUSTOMERS AS IT OFFERS A DELICIOUS LOBSTER PIZZA THAT DELIGHTS THE MOST DEMANDING PALATES. THE STRUCTURE OF THE PROPERTY IS OF CONSTRUCTION ENOUGH SOLID LAYERS OF SUSTAINING UP TO 4 IDEAL LEVELS FOR PROJECTS AS ARE HOSTELS, RESIDENTIAL DEPARTMENTS AND MORE. THE IDEAL OPPORTUNITY TO DEVELOP YOUR PROJECT IN CANCUN, CALL ASAP.